In a new statement posted to their social media, the Faim have announced the departure of their longtime drummer Sean Tighe. You can read the band and Tighe’s announcement below. The band took to their social media accounts yesterday, Nov. 27, where they explained in a statement that they and Tighe will be parting ways, but they wish him all the best. Additionally, this doesn’t mean the band will be missing any of their previously scheduled shows, though a replacement for Tighe has not officially been announced. 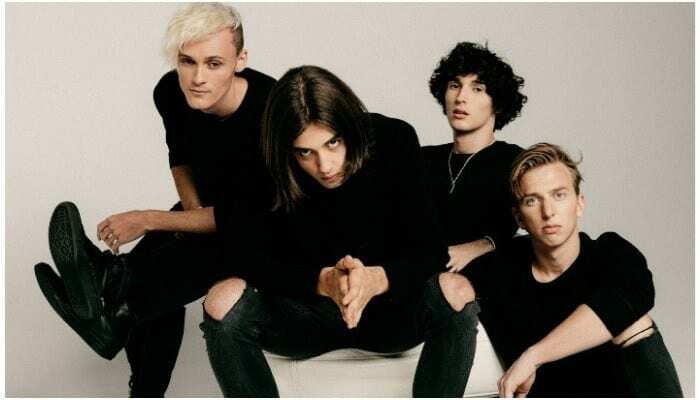 “After careful consideration, Sean Tighe and the Faim have decided to part ways. We fully support Sean and believe everyone should do what’s best for themselves in this life. We don’t doubt that Sean’s skill and talent behind the kit will make for an exciting future. All the best brother. In addition to the band’s statement, Tighe has posted as a statement of his own. From the age of eleven I have had only one dream and goal; to be a brilliant drummer, the very best I can be in a world-renowned band, just like my heroes. I have put my heart, energy, passion, fun and soul into that dedicated goal from day one and throughout my time performing with originally Small Town Heroes and the Faim. I am so proud of what I and the guys in the band have achieved. As discussed with the band members and manager, we are parting company/ ways. Our relationship, unfortunately, hasn’t worked out. I wish the guys every success in life and music. I am now focusing on the future and will be putting my passion and energy into seeking opportunities to continue to fulfil my passion of drumming.